Are you looking for trenchless restoration for your Chicago building’s plumbing pipes? If you are, you’ve probably come across information about epoxy pipe lining, which is a relatively new way to restore plumbing pipes and extend their useful lives. Below are a few of the most common questions we receive here at Nu Flow about epoxy lining and the pipe lining process. 1. Does Nu Flow perform a condition assessment in order to determine if the plumbing pipes can be lined? Before every pipe lining project, we always perform a detailed condition assessment of the plumbing pipes that are to be lined. 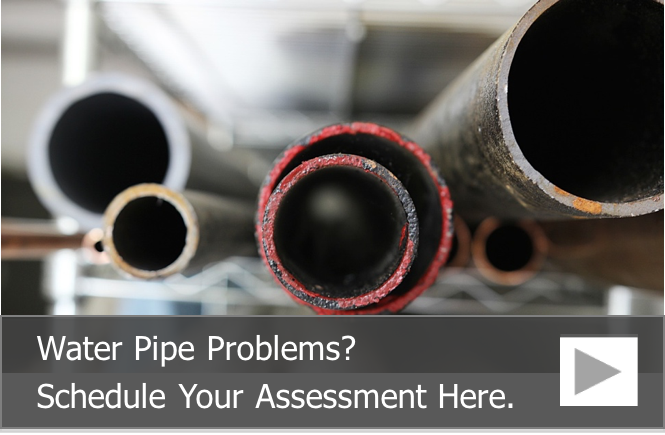 Our condition assessments can be part of a diagnostic assessment or part of our building pipe assessment. Each pipe assessment involves a detailed camera inspection with our pan and tilt plumbing camera. This special camera has the ability to capture every inch of the insides of your plumbing pipes and display those images on a small screen. We also record every assessment so that we can review the footage with you and explain the findings. A condition assessment is important because not all drain lines and potable water lines are good candidates for the lining process. The pipes may be too old or they may have extensive damage, including large collapsed sections and extremely thin walls. Severely damaged plumbing pipes won’t withstand the cleaning and preparation process, and in these instances, we don’t recommend lining them. Instead, we may offer a combination approach of replacing some pipes and lining the remainder. 2. 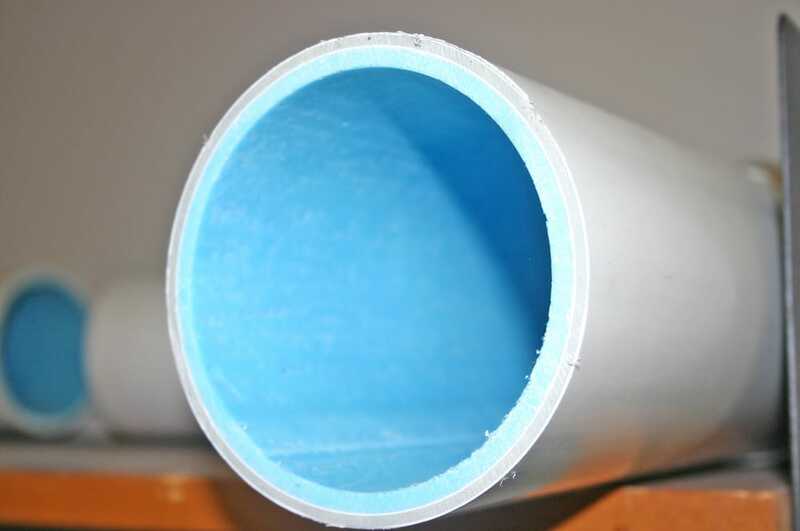 Is epoxy pipe lining safe to use in my potable water pipes? When we talk about epoxy, we are essentially talking about a specific type of plastic resin. When first mixed, this resin is a thick liquid, and as a liquid, it can be blown through potable water pipes in order to fill small cracks and holes, and it can be used along with felt or fiberglass pipe liners in order restore drain lines. However, many business owners and property managers may be concerned about chemical leaching, especially BPA, from the plastic when the resin is used to restore potable water pipes. The truth is that when epoxy is used to coat metal or plastic water pipes, including PEX, PVC and CPVC, there is less chemical leaching than if the pipes were left unlined. While epoxy liners do leach minuscule amounts of BPA, they prevent other types of chemical leaching, like lead and copper from metal plumbing pipes, and they help prevent leaching from plastic pipes. In fact, according to a study in Science Direct and reported by EWG, PEX pipes leach toluene and MTBE as well as 150 other known and unknown chemicals. Part of the problem is that there are no guidelines that state what is and is not acceptable when it comes to plastic pipe leaching. This means that different brands and types of plastic plumbing pipes can leach different chemicals, and you won’t know until you have your water tested. Thankfully, epoxy can be used to line all types of plastic and metal plumbing pipes in order to prevent chemical leaching and contamination of your water from your plumbing pipes. 3. What are the standards and certifications for Nu Flow’s epoxy pipe lining? The epoxy coatings and liners used for our pipe rehabilitation processes have been thoroughly tested and inspected to ensure they meet or exceed all of the standards, rules and regulations regarding plumbing pipes and potable water systems. A few of the standards and certifications include ASTM F-1743, ATSM F-1216 and LC1011 as well as ASF/ANSI 14, which sets the standards for plastic piping systems and their components. 4. What is involved in the lining process? The lining process always starts with a camera inspection in order to ensure the plumbing pipes are in good enough condition to withstand the cleaning and lining processes. Once our pipe lining technicians have determined that the pipes are safe to line, they are thoroughly cleaned and dried. The cleaning process involves using an abrasive agent to scrub and scrape away all of the corrosion and any other debris that may be inside the pipe and to polish the internal surface. This maximizes the internal diameter of the pipe and ensures a smooth surface that is ready to accept the epoxy coating or liner. Once the pipe is clean, it is completely dried. Then, our technicians either blow the epoxy coating through the pipe, or they insert the epoxy liner. The curing process takes anywhere from 12 to 24 hours. At that point, our technicians return to perform another camera inspection and to restore water service. The second camera inspection is used to make sure the liner or coating has been evenly distributed and there are no visible problems. If problems are found, they are corrected immediately. 5. Does Nu Flow offer a warranty, and does that warranty match the manufacturer’s? Here at Nu Flow, we offer a 10-year warranty on all of our installation work, and that warranty does match the manufacturer’s warranty. This means that if you experience problems with our pipe liners or coatings at any time within the next 10 years, our pipe lining technicians will come out to your building and inspect your plumbing pipes. If the problems with your pipes are due to a failure or flaw in the epoxy lining or coating, we will repair it at our cost. 6. How do I know the epoxy pipe lining worked? At the end of every installation, our pipe lining technicians perform a second camera inspection with our pan and tilt camera. This inspection is designed to check for installation problems with the epoxy liner or coating. During the inspection, the images are transmitted to a screen for real-time evaluation, and they are recorded. At the end of the inspection, our technicians will show the video footage to you and answer any questions you may have in regards to your pipe lining. Once we deem your pipes restored, water service will be turned on, and you can use your pipes as normal. To schedule a building pipe assessment to see if epoxy pipe liners would benefit your Chicago building, call us at 815-790-9000.